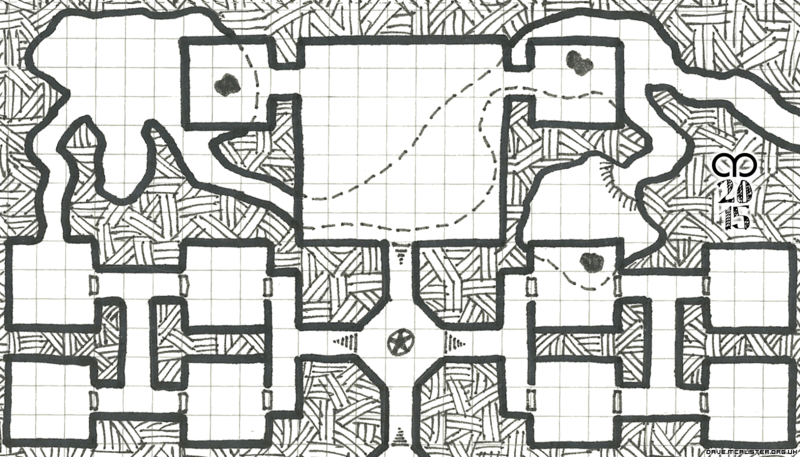 This weeks map is an Abandoned Dwarven Hall. A small-scale affair but one with a twist. What sort of creature has burrowed under the main hall and driven the dwarves out? Perhaps it’s not a monster but, instead, some tomb raiders who have tunnelled beneath the hall in search of dwarven treasure? Only you can say for sure. I really like this map and can see me using it at some point in the future. I hope you do too.